Most business owners are quite familiar with the incredible tax savings that bonus depreciation allows; however, with the recent updates and changes to the tax code, many individuals remain confused with certain aspects of this section – and rightfully so! The Tax Cuts and Job Acts has reshaped many areas of reporting and with tax season just around the corner, it may be wise to contact a tax law professional to help you decipher this complicated subject. Statutes regarding depreciation, bonus depreciation, and 179 deductions are always fluctuating; therefore before you plan to make a large capital purchase, you should request a consultation with a reputable tax attorney for the right guidance. Previously, a business could claim a first year bonus depreciation equal to 50% of the purchased asset; however, used assets and real property did not qualify. Only assets like computers, software, cars, machines, and furniture and fixtures could take advantage of this kind of depreciation. In addition, qualified improvement property could also take the bonus depreciation, if the work was done to the interior building and after it was placed in service with certain exclusions. With the new Tax Cuts and Job Acts taxpayers can take 100% first-year bonus depreciation for qualifying assets placed in service between September 28, 2017 and December 31, 2022. Phase out will start in 2023 by dropping 20% each year for four years until it finally all expires at the end of year 2026. Furthermore, the property must fall within the definition of qualified property, which can be just about anything except for land and buildings. To use bonus depreciation, it must be first used in the year you are claiming the first depreciation deduction. On the other hand, listed property, such as computers, autos, and other property that can be used for both business and personal purposes must be used 50% or more by the business. However, bonus depreciation can create or contribute to a net operating loss (NOL), which may lead to the conclusion that deferring a deduction is sometimes preferable, especially if it would cause or increase an NOL that would prevent another deduction. 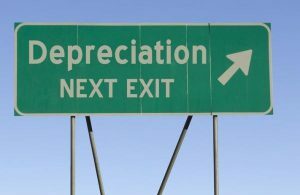 Depreciation is a complicated process and with the new tax code in place, it has become even harder to make sure you are getting the full advantage. As time starts ticking for preparation of your annual tax return, you should turn to us at Dallo Law Group for all your considerations and concerns regarding the Tax Cuts and Job Acts and how bonus depreciation could work for you. We make it a point to stay current and well versed on any changes to tax law and in what ways you can benefit. The details listed are just some broad highlights to bonus depreciation. In order to really get down to how you and your business may benefit, it is best to have a thorough analysis with one of our tax attorneys at Dallo Law Group. Everyone’s situation is unique and we understand that. It is important to take a big picture approach and plan accordingly. Before you make any business decision, give us a call to discuss: 619-795-8000.